Please note this article was first published in 15 Jan 2010. Its content may now be out of date. We recommend taking a look at more recent website building blog posts or check out our comprehensive support pages. If you are looking for information on our 14 day free website builder trial we have a large number of webpages that guide you throug the process. 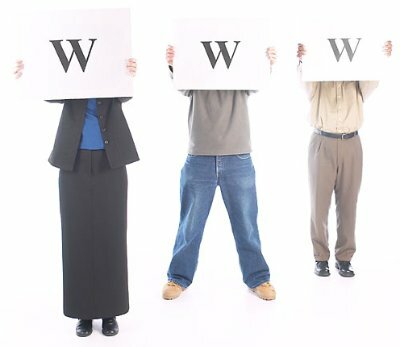 An Internet forum, web forum or message board is an area on a website which provides a discussion facility to visitors. Members of the forum can submit or “post” their comments and discussions or posts as they are called. They can also read and comment on “posts” or discussions from other forum members. An Internet forum can focus around almost any subject and provides a host of communication benefits to both website builders and visitors alike. An Internet forum allows all members to make posts, comment on posts and start new topics. An Internet forum, web forum or message board normally asks new members to register or login before they are permitted to join the discussion with their own new posts. The various conversations or discussions in a web forum are commonly called threads. Threads are frequently made up of a number of posts from various members. The forum members can usually edit their own posts and start new topics. A Blog differs from an internet forum or web forum in that it is more of a journal than a discussion facility. The control of its content is usually restricted. A Blog is usually written by only one or two users to provide specific information. Blogs are most commonly used to make political statements, promote products, provide research information or in our case to provide helpful tutorials. Blogs usually only allow other visitors to respond to the blog material by leaving comments. Any comments are normally received into a hidden area of the blog and usually require permission or approval before they are published. What are the benefits to a website builder? An internet forum can be a great way to provide another form of communication between you and your customers. Use it to promote new products or special offers. Receive requests and wish lists from customers. It’s also a great way to get some real feedback from your customers. A Blog page is an easy and fun way for you to provide specific or ongoing information to your customers and provides them with a simple way to give you feedback on that information. How do I add a Forum or Blog to my website? Forum facilities are on DotGO’s development to do list and are a facility which will be introduced to your control panel in the not so distant future. However, in the meantime, it’s not that difficult to set one up yourself and link to it from your web pages. As a practised website builder you shouldn’t find it hard at all as there are hundreds of websites offering free forum and blog facilities, which offer very simple step by step guides to show you what to do. Just type “free forum” or free blog page” into your search bar and take your pick. Freeforums.org and blogger.com are two very popular ones. Many offer some very clean and stylish templates and do much of the set up work for you. Once you’ve completed the set up, you’ll be given a domain or web address for your forum or blog page. All you have to do now is link to it from your website. Copy the domain or web address for your forum or blog page, then open the editor for the page on your website on which you’d like the link to appear. Type in a line such as: “Click here to view our Blog Page” or “Click here to join our Forum”. Highlight this line, then click the yellow “Insert / Edit Link” icon > Webpage > External Webpage > choose yes to open in new window. This way when customers have finished looking at your forum or blog page, they will come back to your main website. Please remember, this article was first published 15/01/2010. The content may be out of date and you cannot post comments any more. Please check out our new blog.